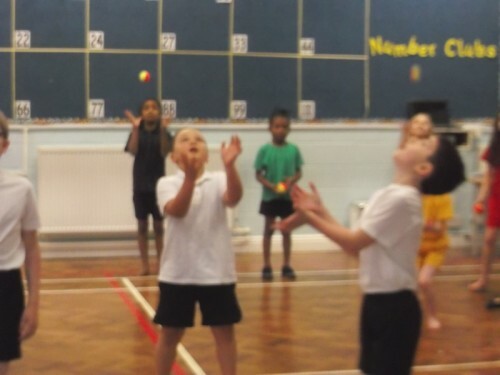 Today’s spotlight is on… Ben! 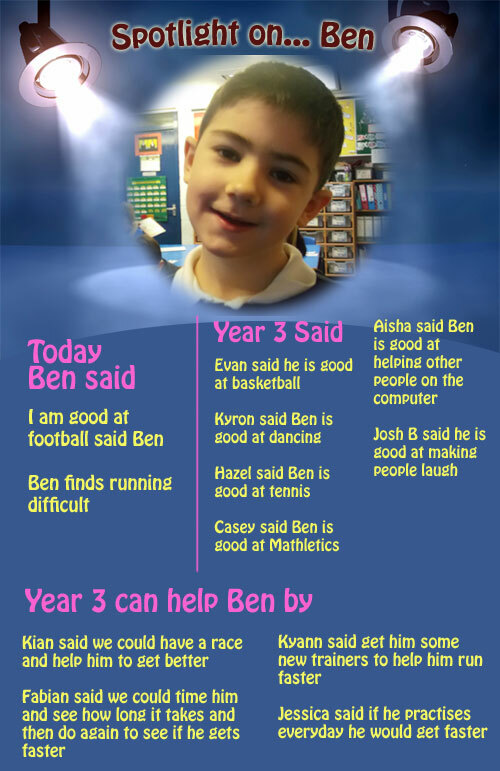 Our last Spotlight is on Ben. Everyone in Year Three has now had a turn to be in the spotlight and have all responded very well to this. Our finished Into the Forest stories are looking really good. 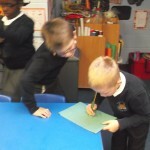 We tried so hard to use descriptive language and write in first person. Here are Lola’s, Megan’s, Kyron’s and Sahara’s finished stories. This afternoon we used leaves for our Art work. 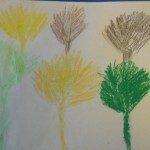 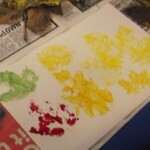 First we used wax crayons and created some leaf rubbings. 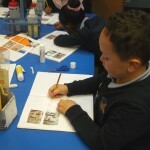 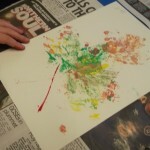 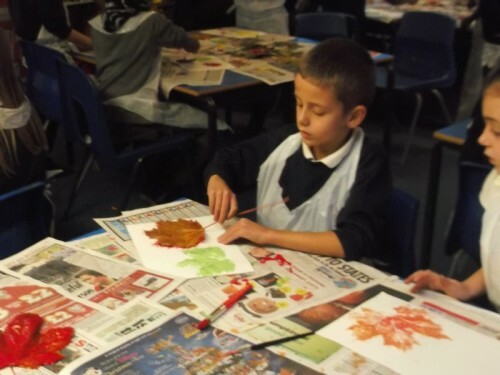 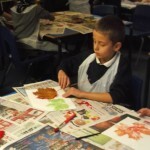 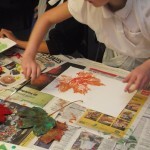 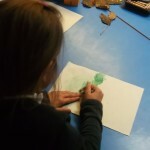 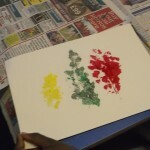 Then we used different coloured paints and made some very effective leaf prints. 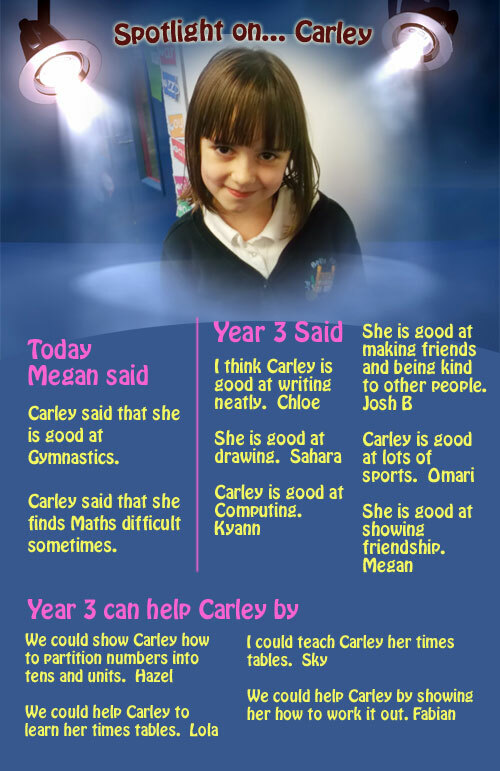 Today’s spotlight is on… Carley! 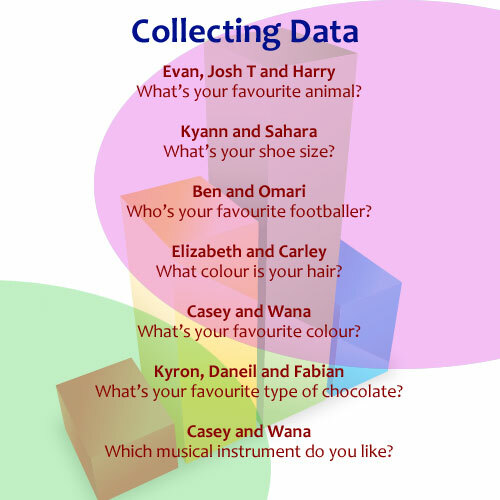 This afternoon we collected some data from the class. 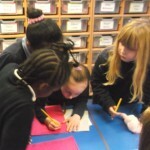 We all worked in groups to think of a question to investigate. 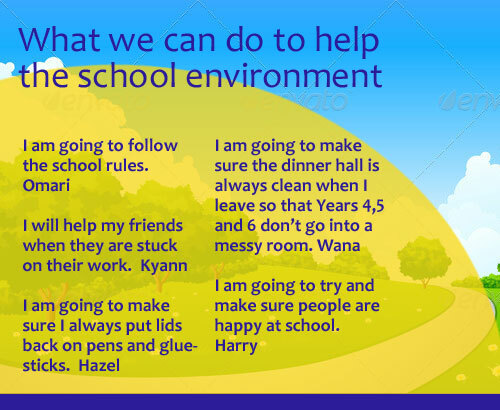 Here are some of our ideas. 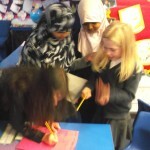 Next, we thought of choices for people to select from. 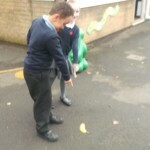 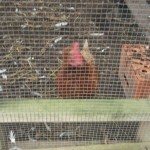 Then we asked our friends for their ideas. 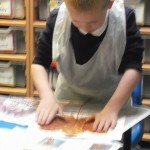 Next, we thought about how we would show our results. 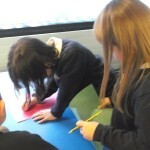 Some people suggested a graph, other people said a table. 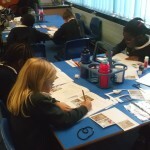 Next week we are going to use a program on the computer called 2Graph to collate our findings. 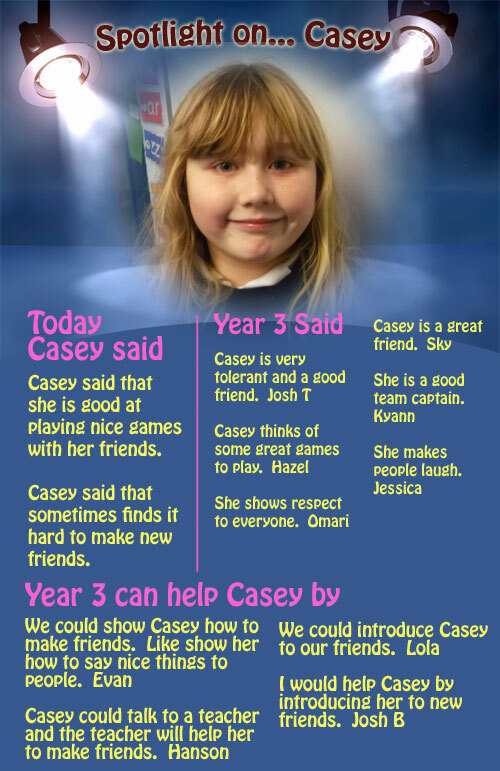 Today’s spotlight is on… Casey! 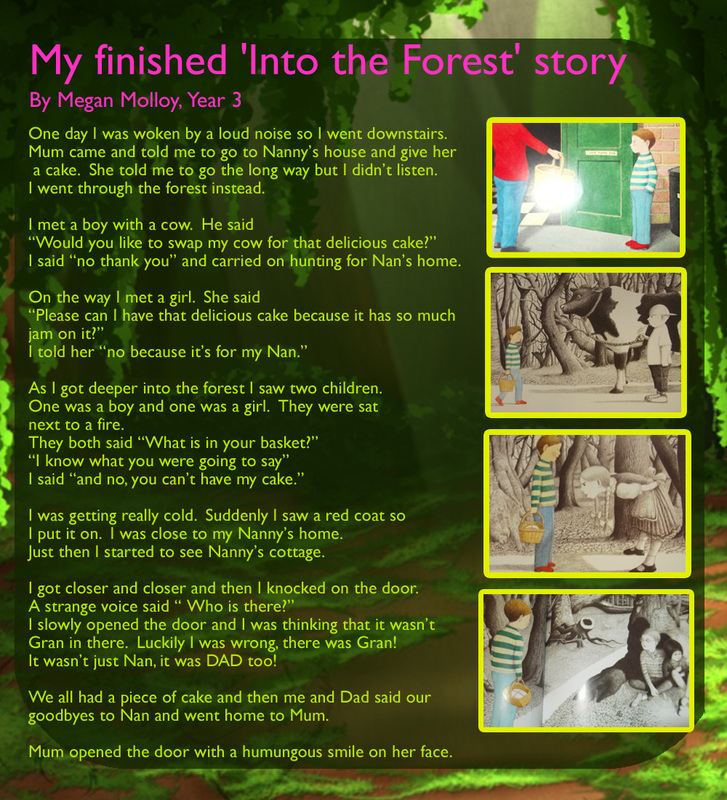 This morning we worked really hard on a piece of writing based upon Into the Forest story. We had to pretend we were the little boy and describe our adventures using first person. We also had to use descriptive language to explain how the boy felt on his journey. 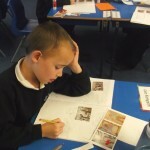 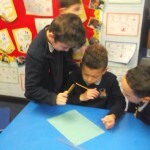 There were some super pieces of writing produced. 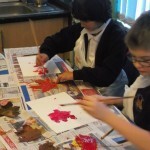 Keep watching our blog and we will post some of the finished pieces soon! 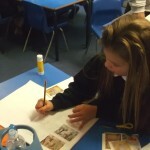 In RE today we talked about the word ‘caring’. 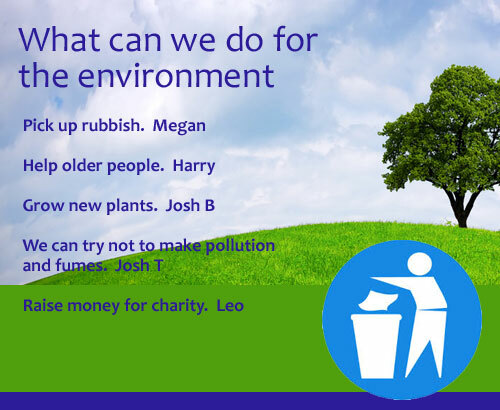 First we thought about what we do for others and what people do for us. 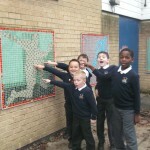 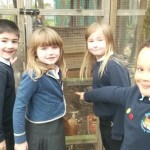 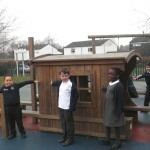 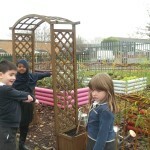 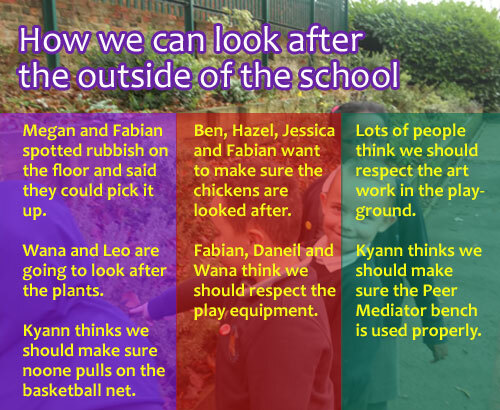 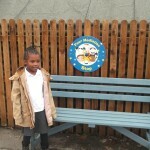 We then talked about how we can look after the outside of the school environment. 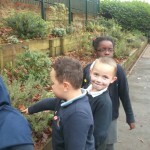 We went outside to have a look. 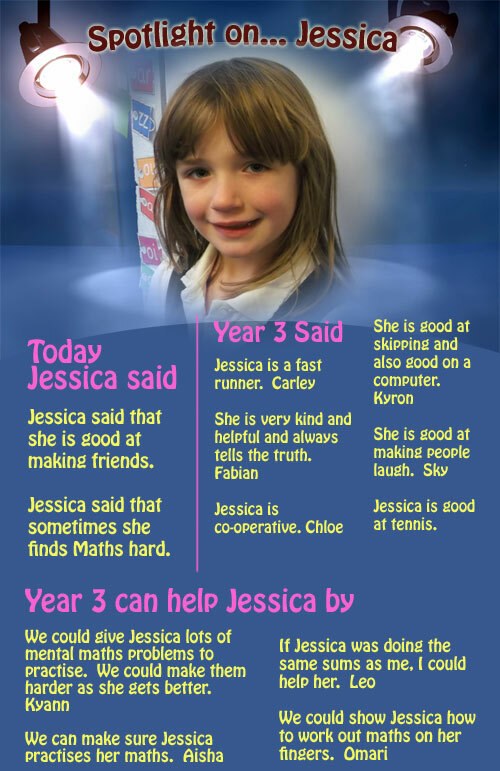 Today’s spotlight is on… Jessica! 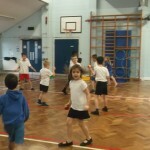 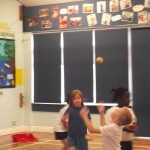 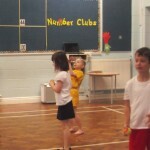 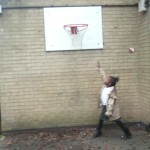 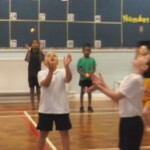 In PE today we practised our throwing and catching skills ready to play fielding games.